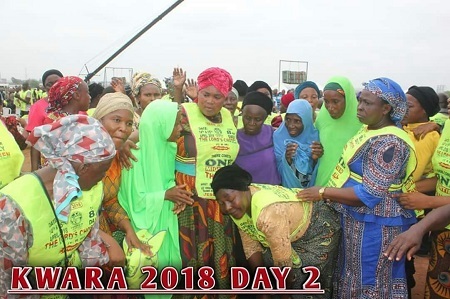 It was a thing of joy recently after some Fulani women dressed in hijab joined members of the Lord's Chosen Charismatic Revival Ministries for Praise and Worship. 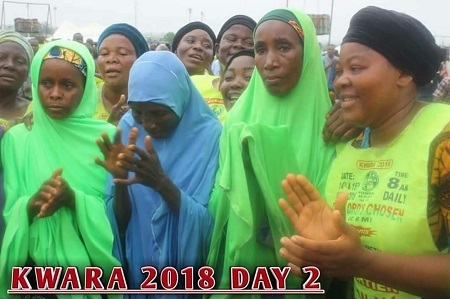 There was jubilation in Kwara state after some Muslims in their Hijabs (Fulani Indigenes) came out to identify with members of The Lord’s Chosen Charismatic Revival Ministries at their programme in Kwara state. The Muslims were thrilled during the Praise and Worship Session and decided to join them. 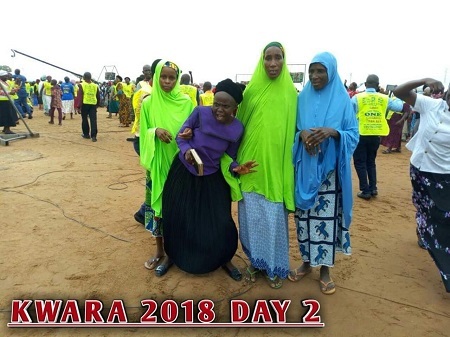 "Picture story of Muslims on their Hijabs (Fulani Indigenes) who came all out to identify with the Chosen People. They were thrilled during the Praise and Worship Session because, they have not seen it in this fashion before. In humble adoration, they all bow before 'The One Mightier than All'. God indeed is the God of all flesh, He calleth all to worship Him and He's a large heart to accommodate all that comes to Him."